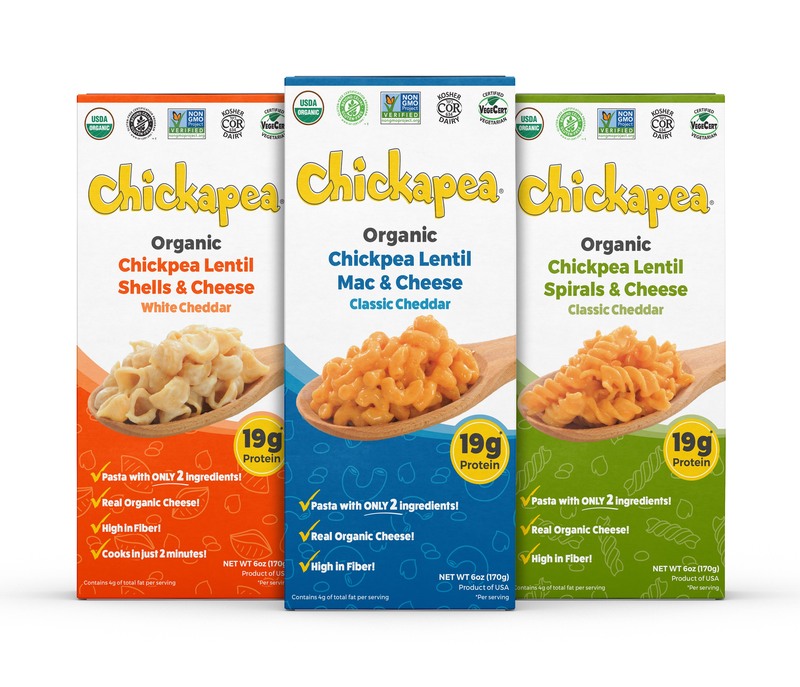 COLLINGWOOD, Ontario, February 27, 2018	(Newswire.com) - Chickapea has officially launched its newest product line, chickpea lentil mac and cheese. The only organic option in the category, the products boast 19g of protein, 8g of fiber and less than 500mg of sodium per serving, turning the childhood favorite into a nutritious, guilt-free meal. 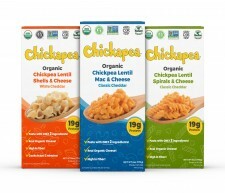 Chickapea’s boxed mac and cheese pairs the brand’s signature, two-ingredient pasta (chickpeas and lentils) with a real, organic cheese sauce, resulting in a simple, clean ingredient list. Certified organic, non-GMO, Kosher, vegetarian and gluten-free, this new line is not just better for you, but actually good for you! This summer will see another Chickapea product launch sure to please the brand’s vegan and plant-based fans. Already selling successfully in Canada, the mac and cheese line is set to launch in the U.S. with both KeHE and UNFI this spring, and will be introduced to new retailers at Natural Products Expo West, booth number N2244 (North Hall) March 8-10, in Anaheim, California. The rapid growth of the organic Chickapea brand proves the product speaks for itself and the demand is high for organic foods that are fundamentally good for you and convenient. Launched in July 2016, it’s now available in over 2,000 stores across North America as well as online at choosechickapea.com and on Amazon. The Chickapea brand is gaining ground as a healthy brand people trust and is the pasta of choice for many families, health food professionals, athletes, seniors and health-conscious consumers. For more information and store availability, visit www.choosechickapea.com.